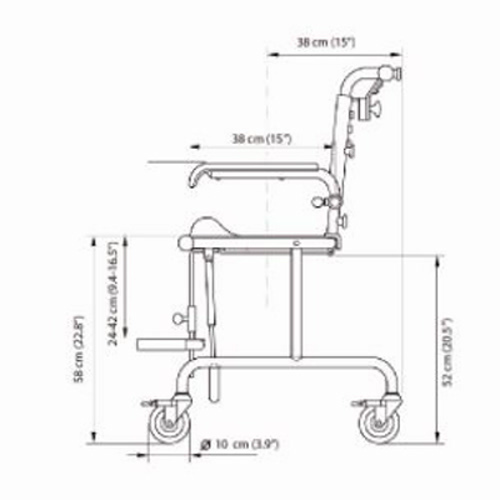 Tripp is a shower commode chair with the tilt mechanism on the left side. 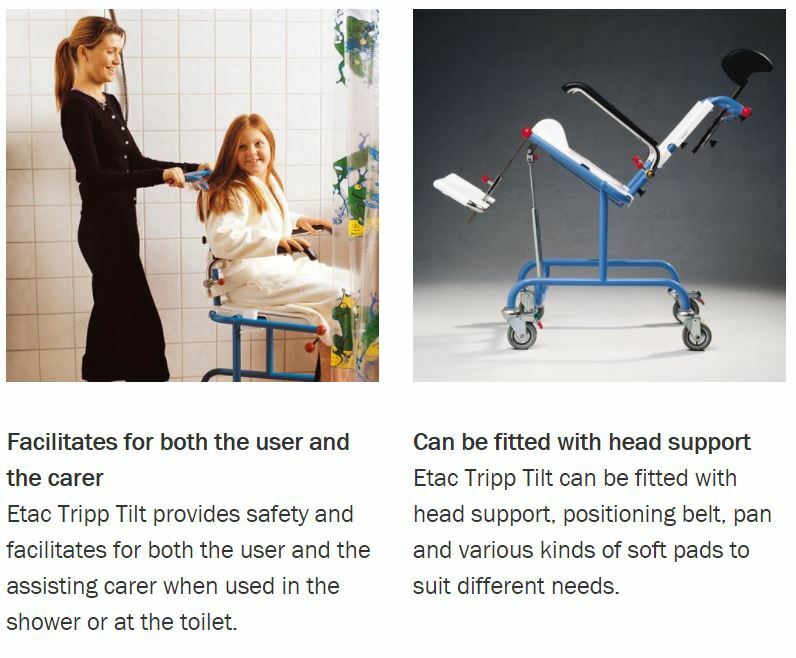 Tilting from the side enhances an ergonomically correct work position and enables eye contact during the tilting process.The size of Tripp makes it the perfect shower commode chair for children, teenagers and slender adults. Furthermore, both seat and back support can easily be removed. This enables fitting of an individual seat unit. Maximum User Weight: 175 lbs.